The Pic of the bottle on the top of this photo is on the advantage calendar for the 19 of Dec. It seems to be the same bottle in the bottom of this photo. I noticed the bottom one whilst browsing images in google. Odd isn't it? The question is who submited it to PSC as their original image...and which in fact it also could be their´s and it ended up on google through some other means. Ohh Wow! It's actually a contest winner submitted as a source image! Now that's funny! Is this a first? The sails are not the same though! Ohh I see! The actual source image of the 19th is the actual pic he (or she) used to chop the original sailboat from the original source image replacing the actual sailboat in the bottle! LMAO! Soooooooooooo the OTHER image (the one at the bottom of MY first post) is another chop of the actual source image of the 19th from some other chopper!!! who cares which one is the original and who stole from whom? This is not a restorant, this is a fast food place. Cheeseburger, and fries, and a medium coke, to go please. It's spelled restaurant! not restorant! 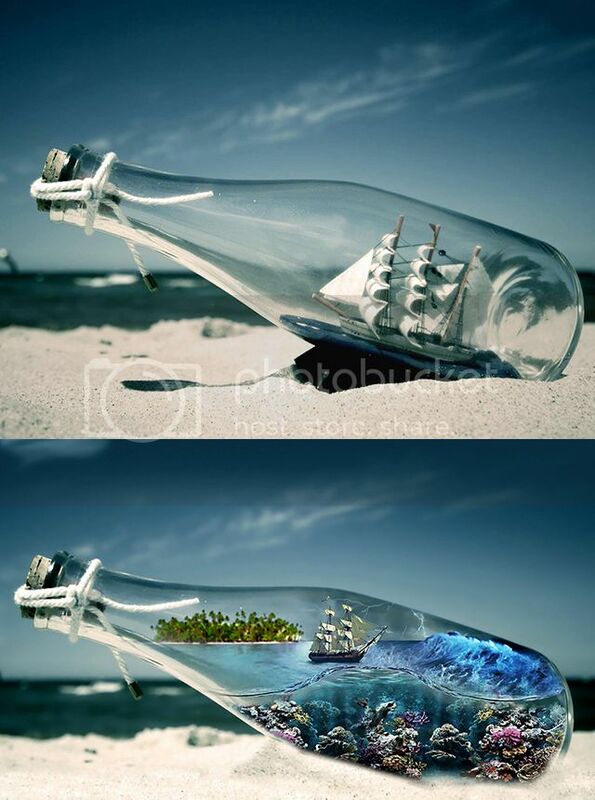 And what's food got to do with a picture of a bottle with a ship in it? My point is this: We have a source that has been chopped (actually twice) and now it is in the calendar to be chopped again! Just saying! I know it isn't uncommon to have sources used more than once. the one of the bridge a couple of days ago was used before. I actually submitted a chop of that source in the past. I was just making an observation. And annajon, most people would rather work on a full bottle and make it empty! Actually I wasn't arguing with you. I was just joking! As I was with annajon. Sorry about the correcting of the spelling. Just a habit I guess. 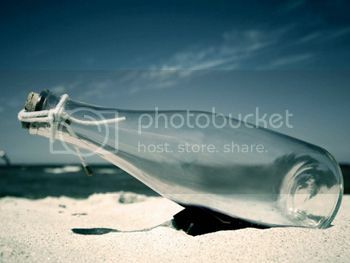 Just though it odd that you used a "food" analogy to comment about a bottle on a beach with a boat in it! I just didn't get the connection! thanks, now can I have that in big?